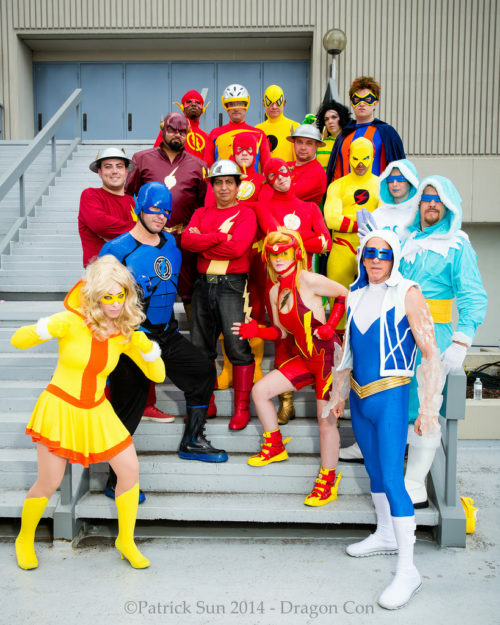 Flash group from the Superhero Costuming Forum’s DC Photo Shoot, photo by Patrick Sun. I love the variety of costumes in here, including the New 52 Barry Allen and Jay Garrick, and the Ame-Comi Jesse Quick. This entry was posted in Fun and tagged Ame-Comi, Captain Cold, Cosplay, Dragon*Con, Golden Glider, Rogues on September 9, 2014 by Kelson. Speedster Jesse Quick is back – not in the New 52, but in the digital-first series Ame-Comi as that universe’s Flash. 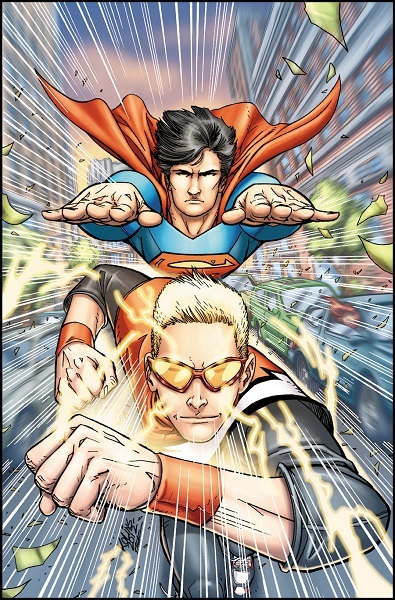 Earlier this summer, DC launched a weekly comic book online featuring these versions of their characters. Wonder Woman has the first spotlight miniseries, then Batgirl, Duela Dent and currently Power Girl. 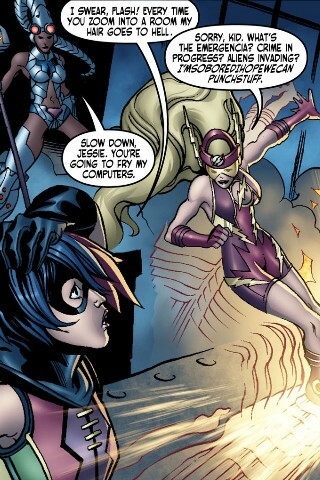 @TheFlashReborn points out that Jesse Quick makes an appearance as the Flash in Ame-Comi: Duela Dent #2. There’s one more “solo” miniseries starring Supergirl, and then it rolls over into an ongoing Ame-Comi series. Here’s hoping the Flash will get some time in the spotlight soon. New chapters of Ame-Comi go up online every Monday on ComiXology, and will appear in print starting in October. *As I understand it, “ame-comi” is a Japanese term for American comics, so the terminology is sort of backwards – it’s an American interpretation of how the Japanese might adapt an American comic book character. **Eventually they moved into stranger territory, like repainting Jesse Quick as the Black Flash. This entry was posted in Other Speedsters, Timely and tagged Ame-Comi, Digital Comics, Jesse Quick on August 9, 2012 by Kelson. 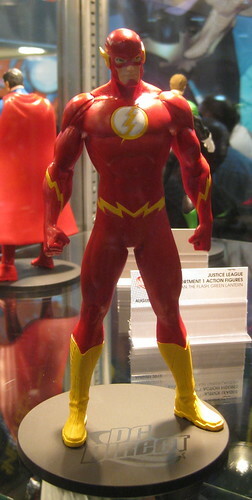 Flash Action Figure Photos from Comic-Con: Flashpoint, The New 52 and…Mad Magazine? This entry was posted in Collectibles and tagged Alfred E. Neuman, Ame-Comi, Andy Kubert, Barry Allen, Black Flash, Flashpoint, Jim Lee, MAD, New 52, SDCC 2011, Zoom on July 23, 2011 by Kelson. One of the stranger items on DC’s September solicitations is this statue of the Black Flash coming in February. Black Flash mysteriously appears as an omen of impending doom for any of the Flash family of speedsters that tap into the Speed Force. This entry was posted in Collectibles and tagged Ame-Comi, Black Flash, Jesse Quick, Statue on June 13, 2011 by Kelson. Jesse Quick as the Flash Ame-Comi Statue, originally uploaded by Kelson. Spotted at the DC booth at Comic-Con International. 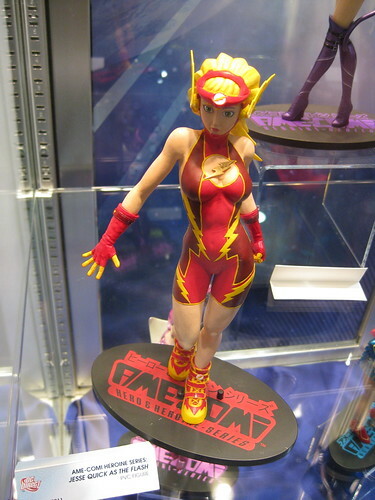 This entry was posted in Collectibles and tagged Ame-Comi, Jesse Quick, SDCC, SDCC 2010 on July 23, 2010 by Kelson.